There’s nothing quite like the transition between seasons in the Rocky Mountains. 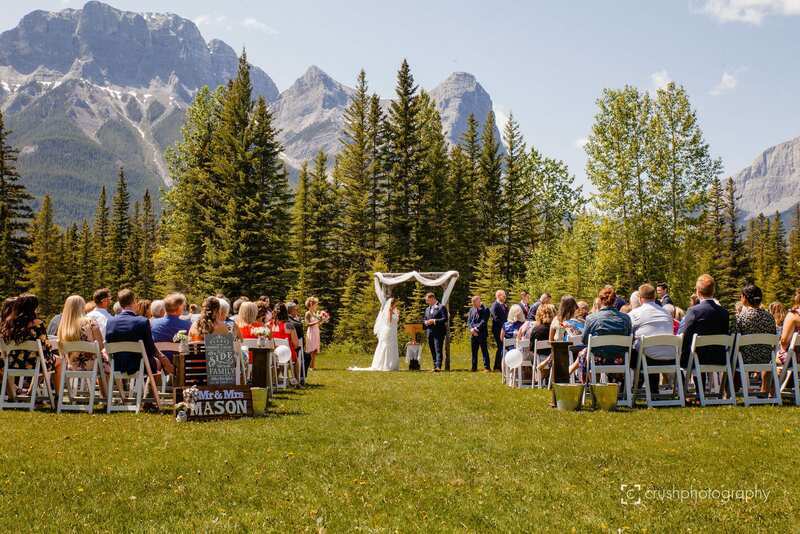 Spring time is a gorgeous time of year, with new colours bursting into bloom and the wildlife wandering out to greet the warmer weather, Canmore transforms from a winter wonderland to a beautiful fresh mountain locale. If you’re considering saying “I do” with a springtime wedding, below are a few tips to keep in mind! 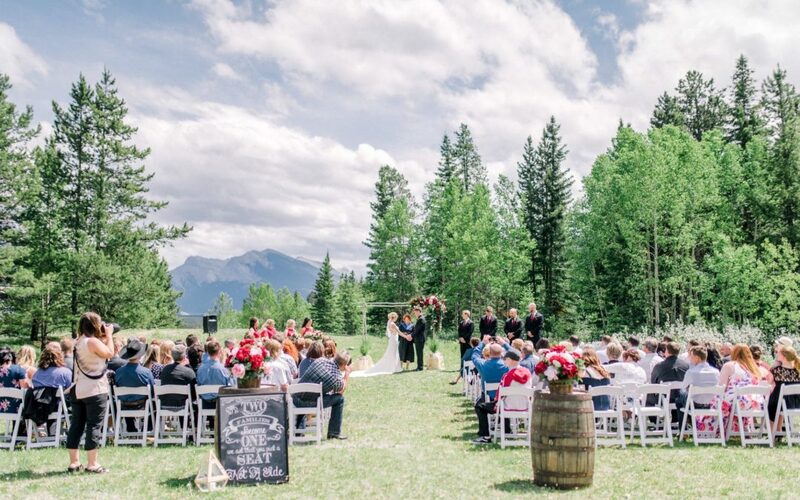 While it can be tempting to look exclusively at outdoor weddings during the spring, it’s best to keep in mind that this time of the year can be rather fickle when it comes to the weather – especially in the mountain regions! Consider booking a spot that offers the option for a backup indoor location, just in case it decides to rain (or snow) on your special day! Cornerstone Theatre is pleased to offer couples who book their reception with us access to the theatre for their ceremony should the weather take a turn for the worst! As mentioned above, spring weather can change on a dime, so it’s best to come prepared to avoid soggy guests and chilling bridesmaids! Pack a pair of rain boots to wear under your dress, set of clear umbrellas for photos, and remember to stay in the moment and smile regardless. Even rainy weather results in some incredible photo ops! Seasonal welcome drinks can be the perfect way to celebrate the season and your special day with your guests. Consider adding a Caesar or mimosa bar to spice things up or a hot chocolate or mulled wine bar to help everyone warm up from the chilly springtime air. While you may face less overall competition for your venue in the spring (summer tends to be the busiest period for many areas), it’s still best to contact your list of preferred spots as early as possible to avoid disappointment. Similarly, booking ahead of the busy season can be a great way to snag your dream photographer, save on a cake and flowers, as well as many other details. 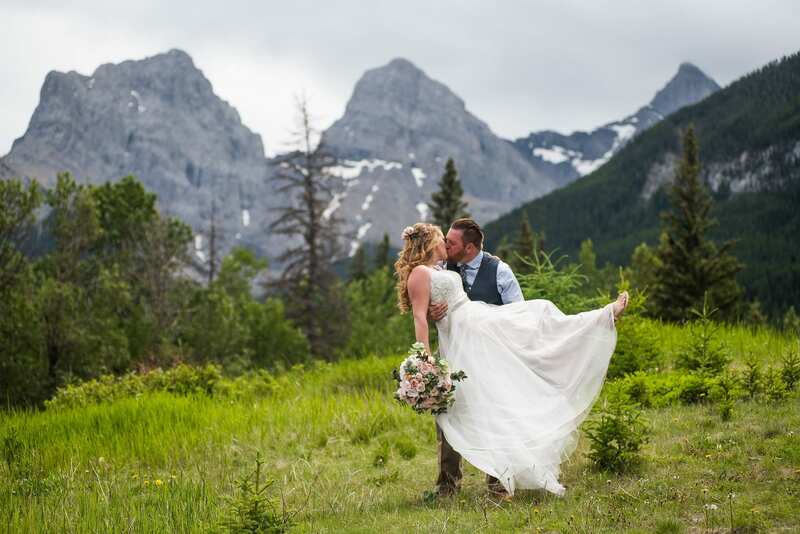 Dreaming of the perfect spring mountain wedding? Contact Cornerstone’s team of coordinators today!